The latest Edinburgh offering from Michelin-starred chef Tom Kitchin is bringing Scottish ingredients and a French bistro feel to the south side. Setting up shop in Bruntsfield, Southside Scran is the brainchild of Kitchin and wife Michaela, alongside their business partner Dominic Jack of Castle Terrace. 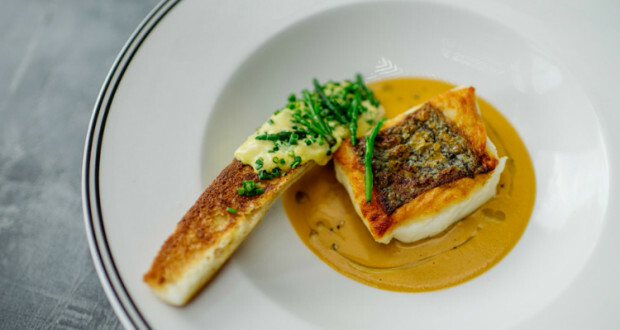 Focusing on the finest Scottish produce and Kitchin's love of French cooking, diners can look forward to delicious seasonal dishes of meat, fish and vegetables cooked on the restaurant's open rotisserie that takes pride of place in the rustic dining room. The bar will take a more global approach with a carefully curated wine list showcasing both old and new world bottles from small and independent winemakers. There will also be a changing line-up of crafty cocktails that will be on regular rotation in line with seasonal ingredients and sustainability.